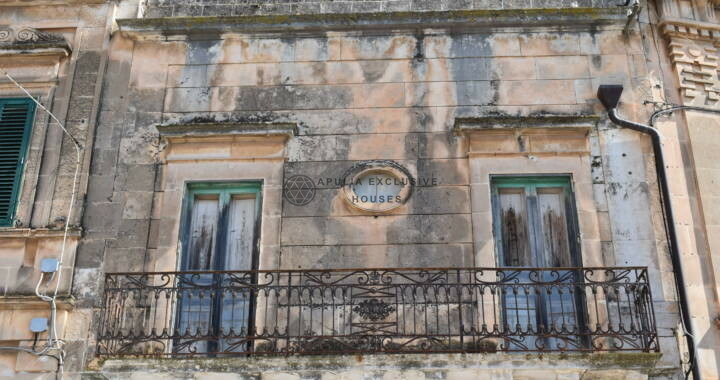 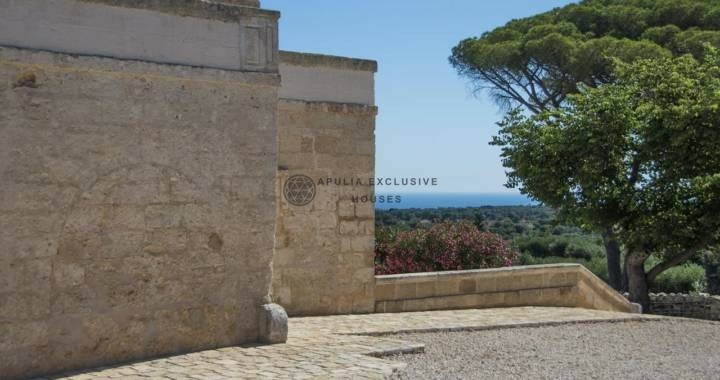 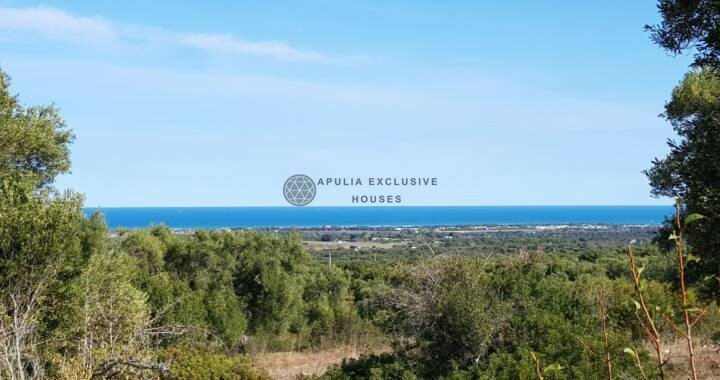 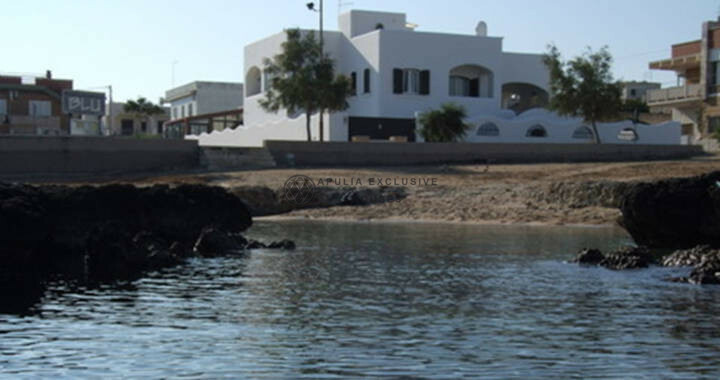 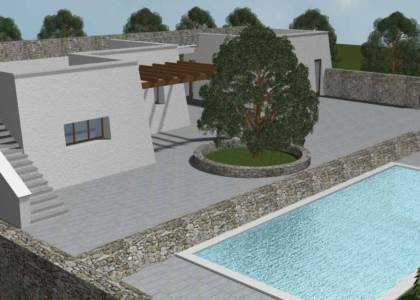 Villa with pool to be realized on a land of about 8.000 sqm, located in a beautiful panoramic sea view area around the land of Carovigno. The main villa is going to be built on an area of about 75 sqm. It will consist of a barrel vault living space with a kitchen, a hallway, 2 barrel vault bedrooms, a large bathroom and a courtyard with wooden arbours. 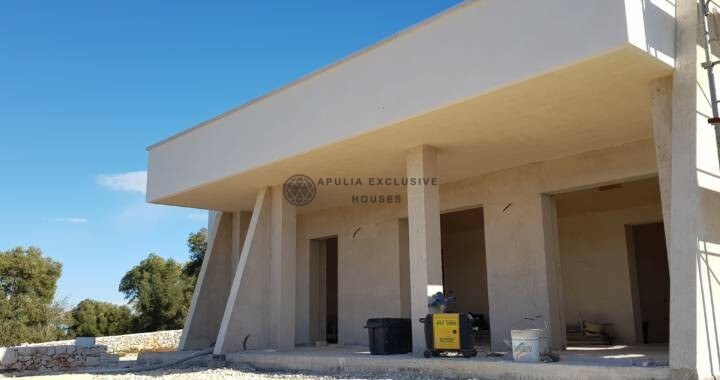 Now a primordial trullo of about 40 gross sqm rests on the land, but it will be completely rebuilt. 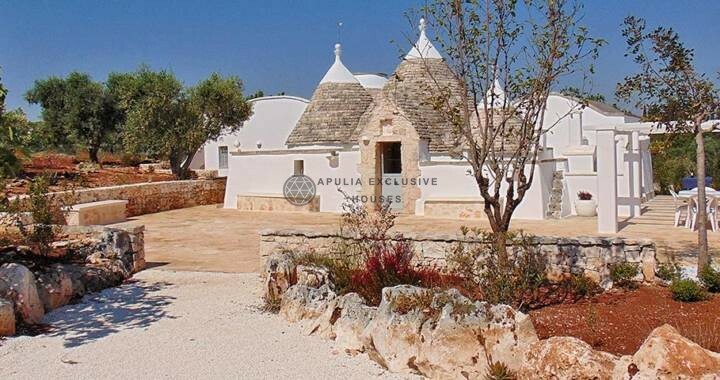 Inside the trullo an additional suite with a double bedroom and a private bathroom will be realized. 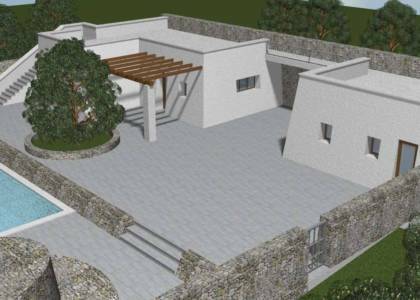 Moreover an outbuilding of about 40 sqm will be built. 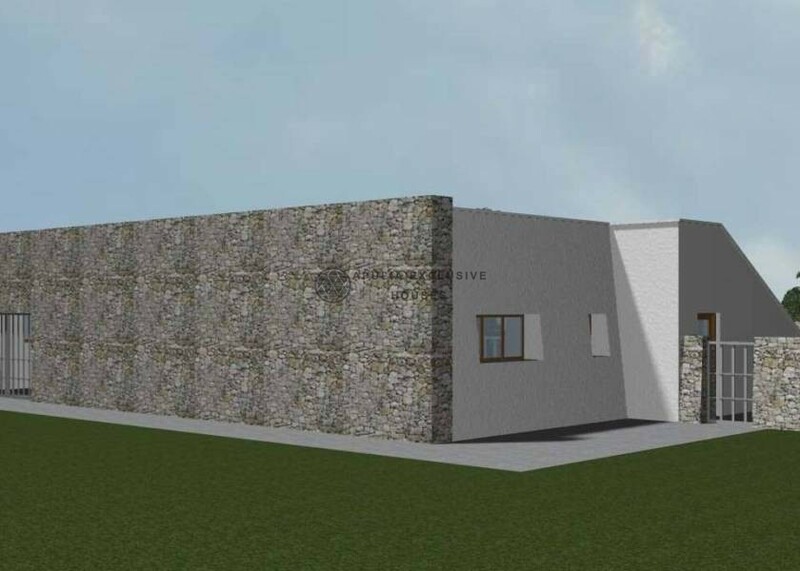 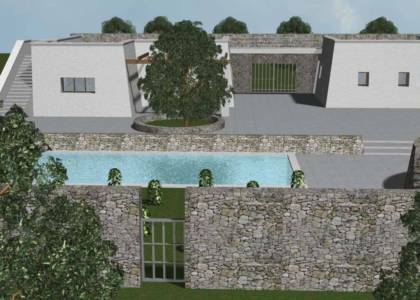 It will be composed of a double bedroom, a bathroom and a space used as whether a single bedroom or a kitchen area. 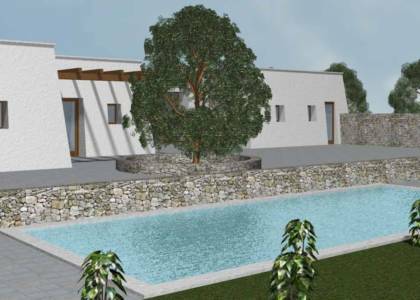 Typical will be the realization of a stone courtyard with a dry stone wall, which will surround both the pool and the solarium. 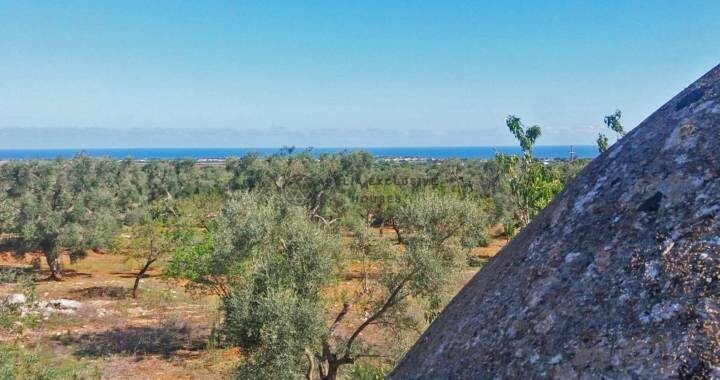 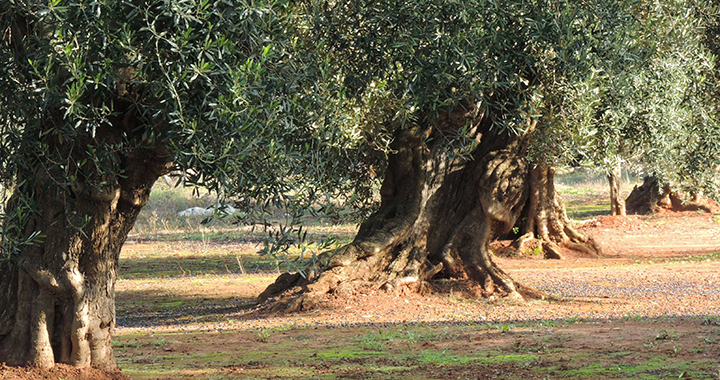 The land is full of a variety of fruit trees, century-old olive trees and Mediterranean scrub.